Recently re-elected Japanese Prime Minister Shinzo Abe and US President Donald Trump are rumored to have scheduled a game with play with world No. 4 golfer Hideki Matsuyama on November 3rd. 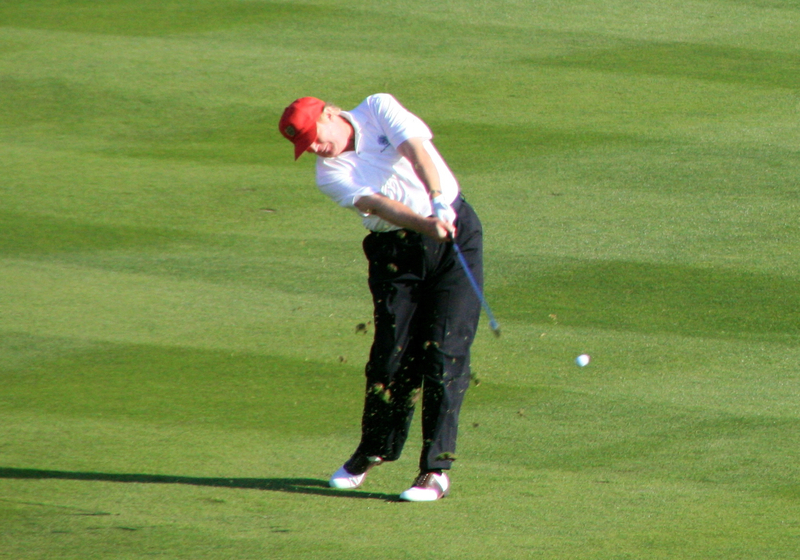 Trump is no stranger to the professional golf world, having already played rounds with Tiger Woods, Rory McIlroy and Lexi Thompson, as well as owning 17 golf courses around the world. The trip will tee it up at 2020 Olympic venue of Kasumigaseki Country Club, located just North of Tokyo, in Saitama prefecture. The presidents both played together when Abe visited America back in February, playing Trump's Mar-A-Lago Club in Florida, where Trump played with a ¥420,000 gold plated Honma Driver given to him earlier on the visit by Abe.